Chloe Frazer and Nadine Ross gear up for a sweeping Indian adventure in the stunning first concept art for Uncharted: The Lost Legacy. 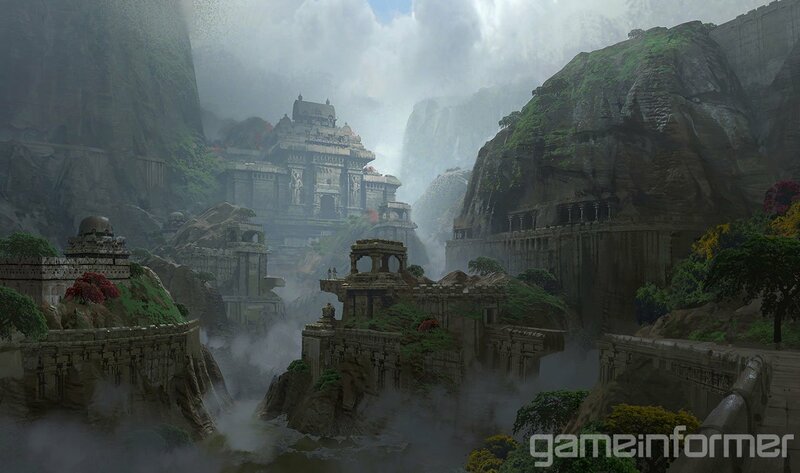 Coming to us by way of Game Informer, the images above confirm the Western Ghats to be the primary setting of Naughty Dog’s standalone DLC. It’s a mountain range located on the western coast of India, one that’s said to be the home of a fabled artifact. So far, so familiar. But in crafting a spinoff story for Chloe and Nadine, the creative team made a conscious effort to delve a little deeper into the character of Chloe, who starred opposite Nathan Drake for Among Thieves and Drake’s Deception, before sitting on the sidelines for last year’s triumphant swan song, A Thief’s End. Tate Mosesian, Art Director at Naughty Dog, continued by highlighting the spectacle of The Lost Legacy, which will seemingly harken back to the awe-inspiring moments littered across Uncharteds 1 and 2. Naughty Dog is yet to lock down an official release date for Uncharted: The Lost Legacy, but if the studio’s release plan for The Last of Us and its own standalone DLC, Left Behind, are any indication, the add-on should be with us by the end of springtime.